Find My Workspace lists over 95% of the business centres market in Tanfield Lea. Simply click Request Quote to check pricing for one office, or Add to Basket for multiple offices. 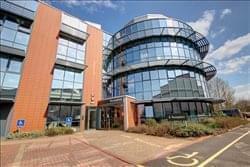 At this business centre you can expect an exceptional modern office space in the heart of North East England. Clients and staff alike will be impressed by the unique architecture unlike any other. This hidden gem offers competitive rates, flexible easy in, easy out agreements for businesses with the infrastructure to support and help businesses grow in a vibrant a thriving business community. There is office space ranging from 135 sq. ft. to 1,787 sq. ft. with the ability to house 2-26 staff. You will find everything that you would expect from a modern business centre with fully serviced offices, communal kitchen, atrium and shower facilities, ample free car parking, meeting and conferencing facilities to name but a few. But perhaps the thing that differentiates it is the superb rural location, close to Newcastle, Gateshead, Team Valley, Durham and Sunderland, providing comparable congestion free commuting for your workforce and easy access for clients with ample free parking on site. The managers of this business centre work with hundreds of companies in County Durham every year. They are a trusted guide forging long-term partnerships with businesses, helping you to accelerate the growth of your company and see long-term sustainability. By locating your business at this Centre you will be part of a thriving business community, it is already home to a multitude of successful businesses trading both nationally and internationally. Tenants are extremely happy with 5* customer reviews and exceptional feedback this is the ideal place to take your business to the next level. What can you expect from this Business Centre? Expect to be impressed by the unique architecture and flexible office space, expect exceptional customer service, expect your business to thrive and grow in a supportive, collaborative business environment, expect a central North East location without the congestion. To obtain information for your selected Durham County Business Centres, please tick the "Add to basket" box for each office you prefer and complete the form below. We will then send a detailed report via email.